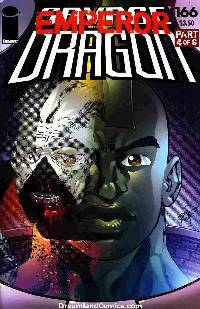 Savage Dragon has reverted to Emperor Kurr and he's taking steps to take over the world. Now, opposing forces gather for the final push to thwart his evil plans but Kurr has a few surprises of his own in store. The heat is on as Savage Dragon's kids lead the charge and the denizens of Dimension-X are unleashed on Earth! It's all out monster mayhem! But that's just the start! This is all building to the most unexpected finale in the history of comics! The countdown to the end of the world continues!